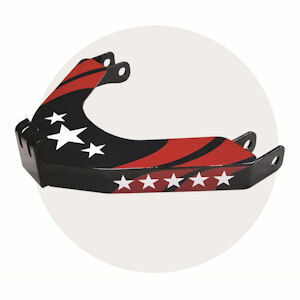 This limited-edition patriotic lift arm kit features a deep blue color, enhanced by white stars and red stripes. It’s compatible with all UltraMount and UltraMount 2 series snowplows. Now through Sept. 1, for each kit purchased, Western Products will donate $50 to Camp Hometown Heroes — a weeklong overnight summer camp for children of U.S. service members who died as a result of combat, accident, illness or suicide.